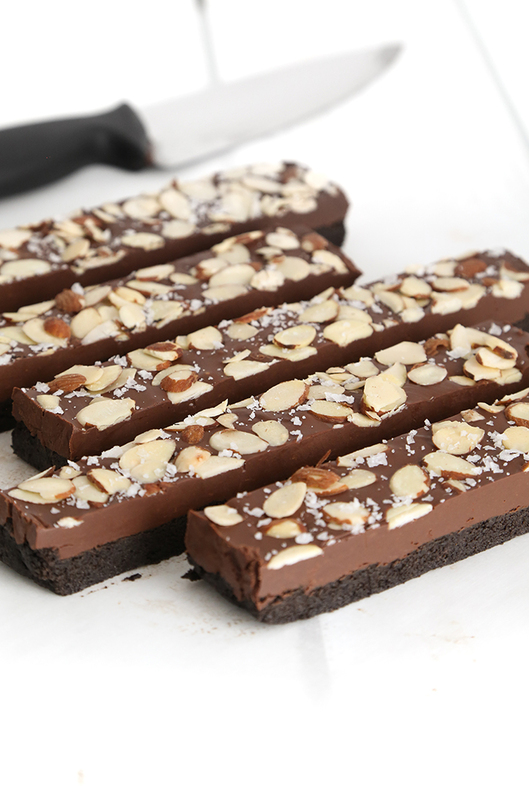 First up - these dark chocolate almond bars. If you've ever had Godiva's Almond Praline Raindrop truffle and loved it, then you will definitely love this recipe. The filling is silky-smooth and full of almond flavor, just like the truffle. Sliced almonds on top offer a little crunch, and a sprinkle of flake sea salt makes them irresistible! All of this sits on top of a buttery chocolate cookie crust. We used Nabisco Famous Chocolate Wafers, but if you can't find them then Oreos with the cream filling removed will also work. These bars cut beautifully while slightly chilled from the refrigerator. I recommend slicing them while they are still cold and then serving them at room temperature. They will be super smooth and a little soft at room temperature. 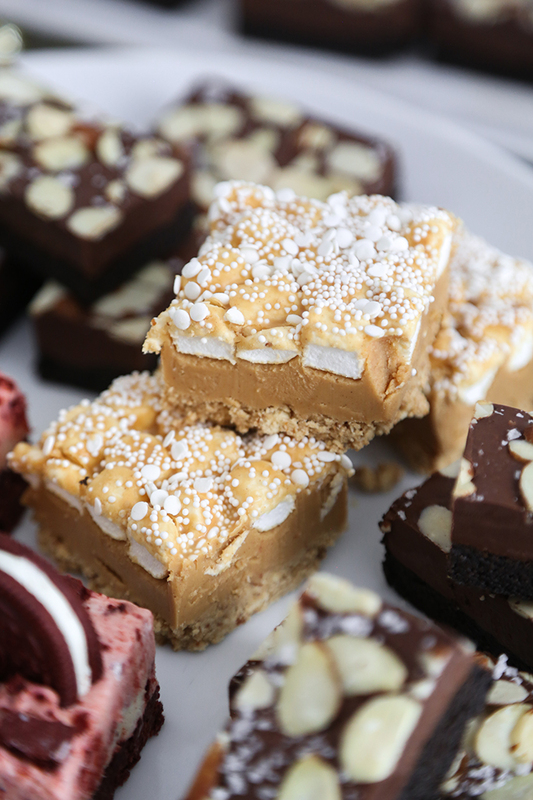 Next are these peanut-butter marshmallow bars. Ooooh this crust. 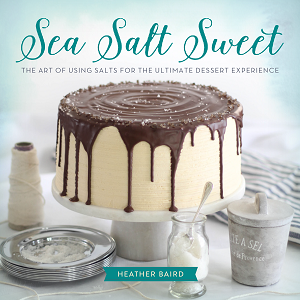 It's made with crushed pretzels which gives the bars a crave-worthy salty bite! 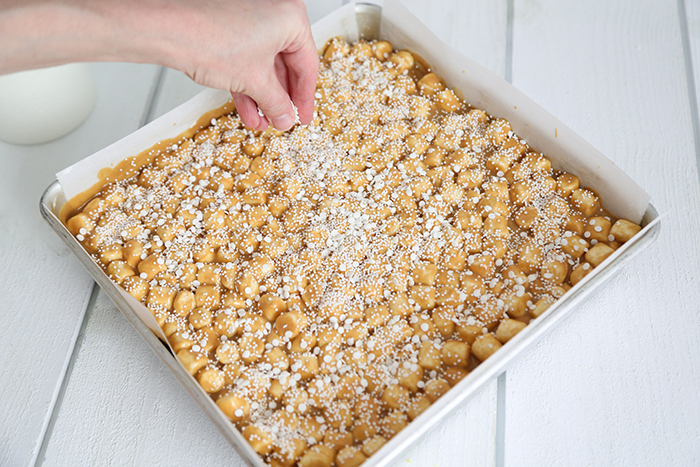 The filling is made with peanut butter, peanut butter chips, butter (so many butters!) and mini marshmallows. 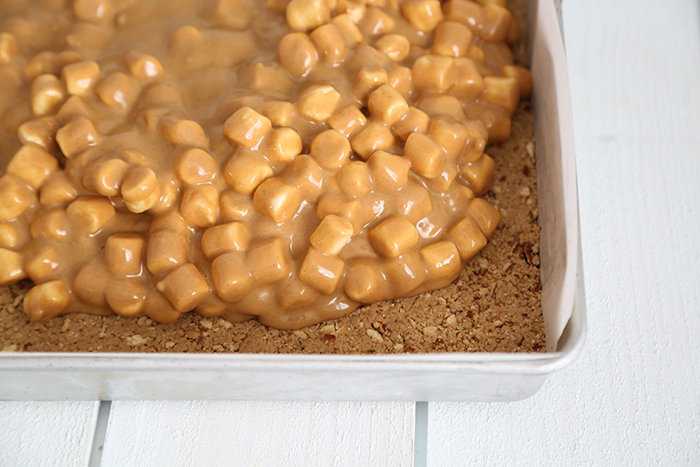 All this is poured on top of the pretzel crust and chilled in the refrigerator until firm. 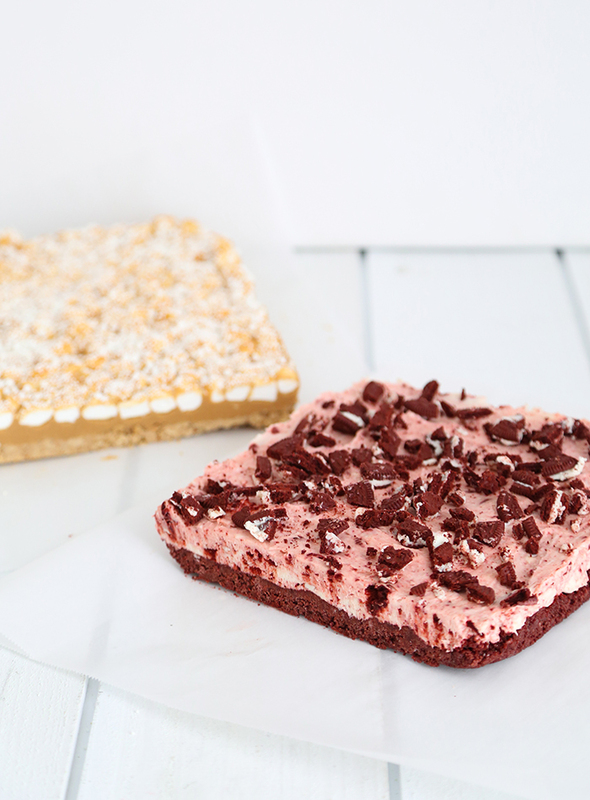 I decided to add white nonpareils and confetti sprinkles to my bars. If you'd like to do this too, sprinkle them on just after you pour the filling in the pan. These also slice best when chilled. 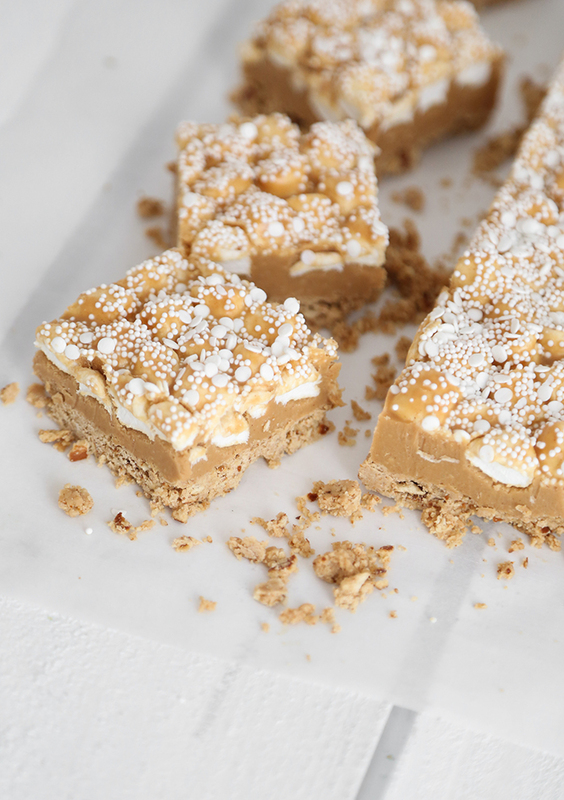 The crumbly crust is a lovely contrast to the creamy filling and fluffy marshmallows. 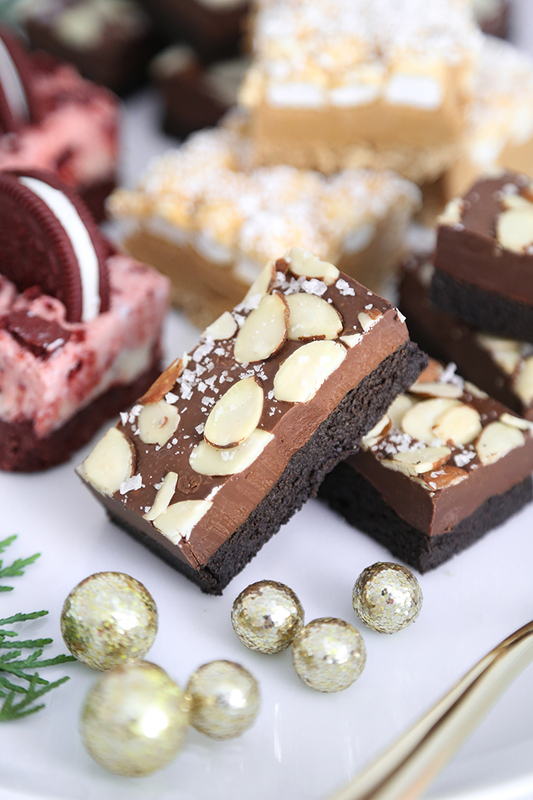 This is definitely a cookie bar for the peanut butter lover in your life! 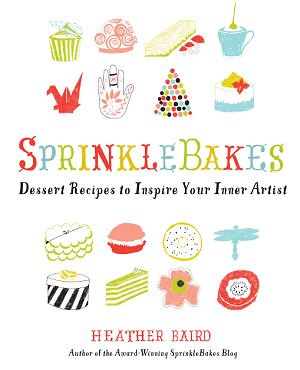 Cookies-and-Cream lovers - and cheesecake lovers, this one is for you! 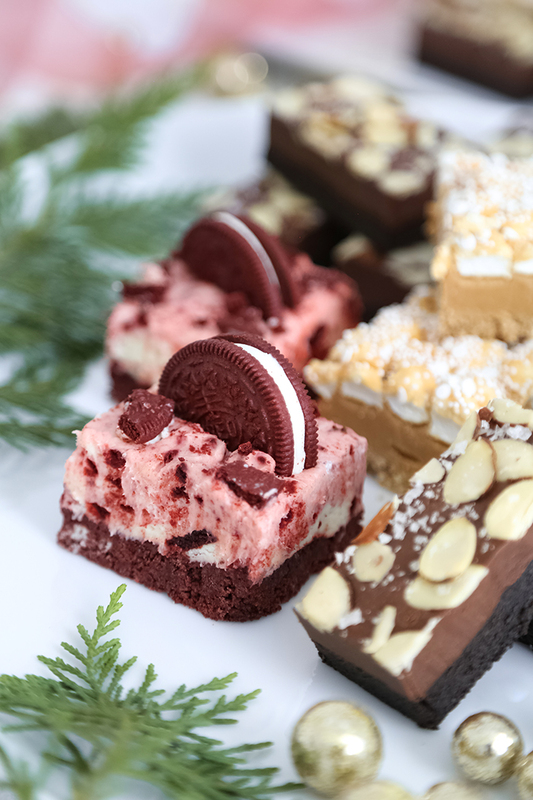 You could make these bars with regular chocolate Oreo cookies, but we liked Red Velvet Oreos best. The cream cheese filling in the red velvet cookies is really nice with the cream cheese filling in this recipe. 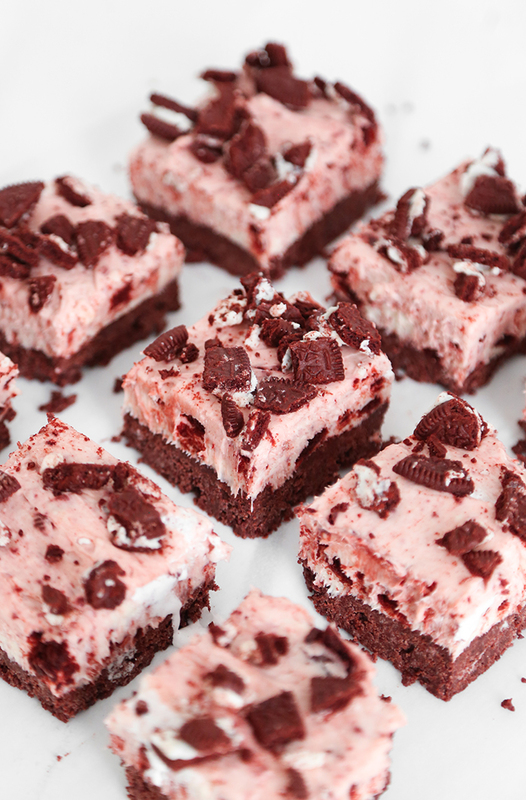 The crust is made of Red Velvet Oreos, too, which gives the cheesecake filling a sturdy (and delicious!) foundation. This was my favorite bar. I think. 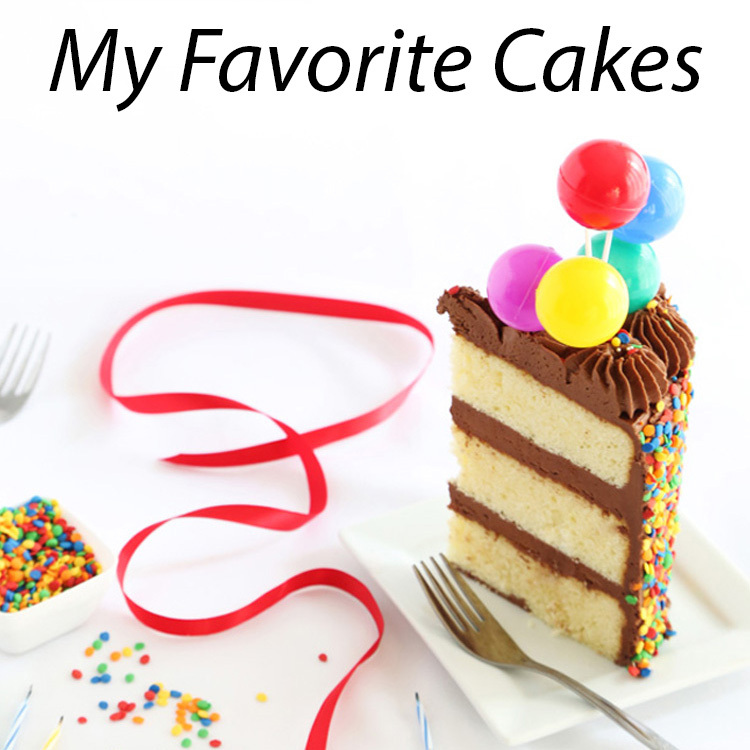 I love them all, but I ended up having these for breakfast on more than one occasion. 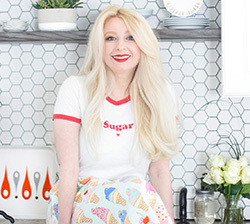 Following you'll find all of the printable recipes. Enjoy! Line the bottom and sides of a 9 inch square pan with foil that overhangs all four sides of the pan. Lightly coat foil with cooking spray. For the crust, stir together melted butter and crushed cookies in a medium bowl. Press the cookie mixture into the bottom of the pan. For the filling, beat the marshmallow cream, softened cream cheese and vanilla in a large bowl on medium speed until light and fluffy. Gently fold the coarsely crumbled cookies into the cream cheese mixture and add to the pan. Spread evenly over the cookie crust. Cover and refrigerate for at least 4 hours, or up to 3 days. Lift mixture from the pan by pulling straight up on the foil overhangs. 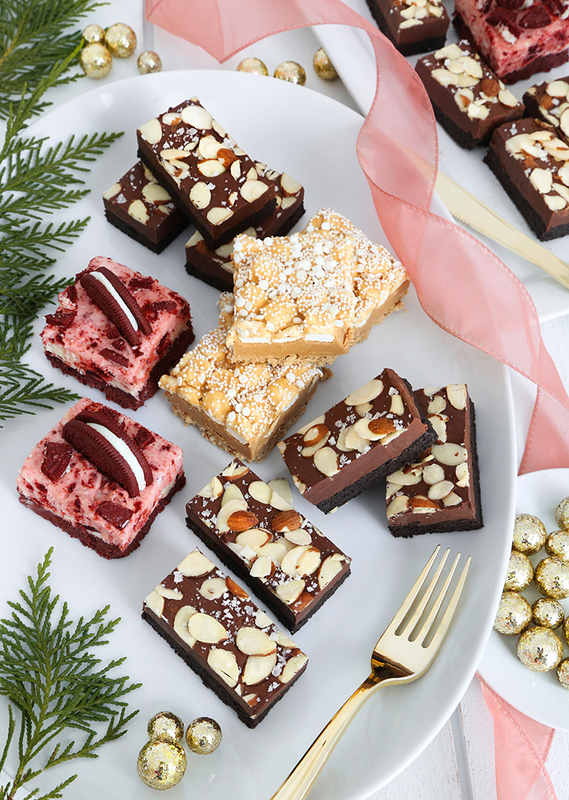 Cut into bars or squares while still cool, and garnish with more crumbled cookies or cookie halves. Line a 9x9-inch baking pan with aluminum foil that overhangs all four edges. Lightly coat foil with cooking spray. For the crust, beat the powdered sugar, peanut butter, and butter in the bowl of an electric mixer. When combined, add the crushed pretzels. Press into the prepared pan and refrigerate until firm. For the filling, combine the peanut butter, unsalted butter, and chips in a saucepan. Cook over low heat until melted and smooth (you may also microwave at 30 second intervals, if you’d rather). Pour in the mini marshmallows and fold together. Pour over the crust and smooth. 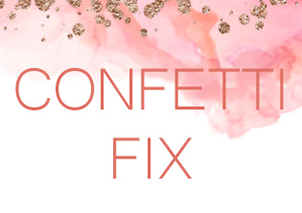 Sprinkle with white nonpareils and confetti sprinkles, if desired. Refrigerate until firm, about 30 minutes. Cut into squares and serve at room temperature. Line the bottom and sides of a 9 inch square pan with sheets of aluminum foil that overhang on the sides by at least 2 inches. Lightly coat the foil with cooking spray. Grind chocolate wafers in a food processor until fine and powdery. Place crumbs into a medium bowl and add melted butter and 3/4 cup (about 140g) of the almond butter. Mix until thoroughly combined. Press the wafer mixture into the bottom of the prepared pan. Melt the chocolate chips on the stove top over low heat or in the microwave at 30 second intervals until the chips can be stirred smooth. Place melted chocolate and remaining almond butter in a medium bowl; mix until thoroughly combined. Pour into the pan over the wafer crust and spread the mixture evenly, using a small offset spatula. 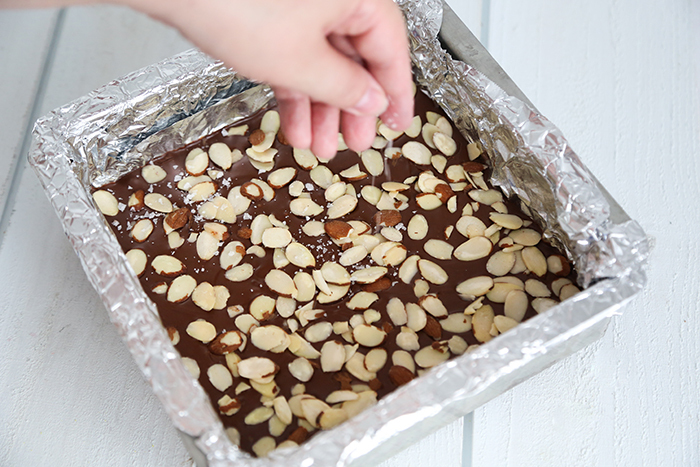 Sprinkle the chocolate mixture evenly with sliced almonds and about 1/8 teaspoon of flake sea salt. Cover and refrigerate about 30 minutes. 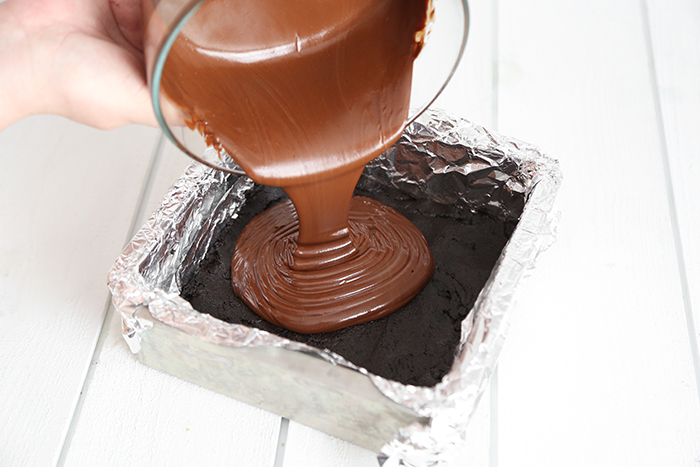 Lift the mixture from the pan by pulling straight up on the overhanging foil. Garnish with remaining sea salt and cut into bars. Serve at room temperature. These bars store best in the refrigerator in an airtight container, and will remain fresh for up to 5 days! it will not copy anything other than the red velvet...............????? Hi. Thanks for letting us know. We're working to fix this. Great! Perhaps you noticed that the last two printable recipes look different from the first when you 'click to print'. We had to link to Google Sites temporarily. It works for now, but we'll be updating the code soon so they all look the same. Thanks for reporting back! I got a tip for those making the peanut butter one, I would suggest using only half to 2/3 the amount for the filling if using the 9x9 pan. I followed the recipe, and with a 9x9 pan (mine is 1 3/4inch tall only) the filling would have overflown the pan and I still had about 1/4 left in my sauce pan. The final result. The filling is around 5x thicker than the crust. The ones pictured made my Heather look to be around 3-4x thicker than the crust.